90s and the early 2000 kids probably remember downloading MP3 files and building a prized music collection. Burning these audio files onto CDs was a great feeling. You looked pretty cool and fancy with personalized music collections and managing these CDs in large bags is a whole other story. It was a great world really. Not complaining about the faster ways today but still it was a great feeling. I feel pretty old right now to be honest. I am sure you guys are feeling the same way. The point of this throwback is to make you more emotional about the news I am about to give. Fraunhofer Institute for Integrated Circuits, the German agency responsible for inventing the audio format and licenses some patents for it has terminated the licensing program officially. “Although there are more efficient audio codecs with advanced features available today, MP3 is still very popular amongst consumers. However, most state-of-the-art media services such as streaming or TV and radio broadcasting use modern ISO-MPEG codecs, such as the AAC [Advanced Audio Coding] family or in the future MPEG-H. Those can deliver more features and a higher audio quality at much lower bitrates compared to MP3,” the Fraunhofer Institute said in a statement. The MP3s you already have won’t stop working but in the future new devices will not be supporting this format. Pretty sad right? Feeling older yet? MP3 isn’t just about the music alone. The feeling and memories associated with it are much more valuable. People used to burn CDs and share the music with like-minded people. Creating mixed CDs for loved ones was a thing too. It had sentiment and effort involved and it was something else entirely. 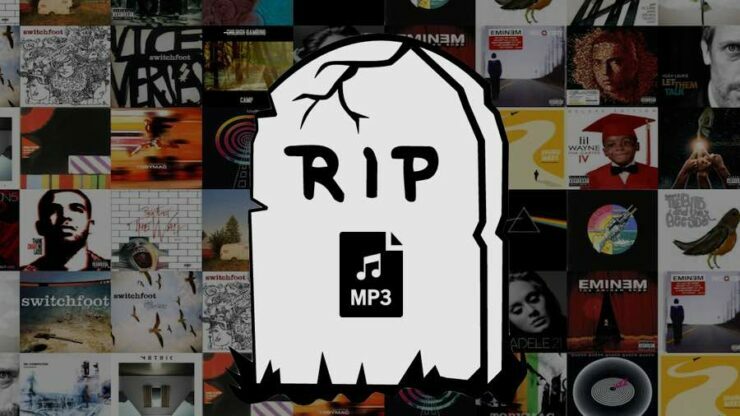 The world is now leaning towards iPods and other media sources and MP3 is officially dead. All, us oldies can do now is bid farewell and move on as life must go on.